In cooperation with Dell, we’re thrilled to announce the Ubuntu Billboard Photo Contest in Russia and Ukraine. From today on, and until the end of May, you can participate in this challenge to submit pictures of one or more of the billboards with Dell and Ubuntu adverts spread across 6 major cities in Russia and Ukraine. 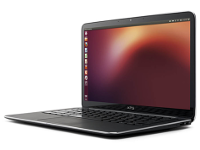 You can win exciting prizes, including a Dell laptop with Ubuntu preinstalled. Quality (40%) – e.g. is the photographic quality good? Is the picture available at high resolutions? Creativity (40%) – e.g. is the content original, creative? Number of views (20%) – i.e. how popular is the content? Each participant can submit up to 3 pictures according to the topic: “Ubuntu Billboards in Russia and Ukraine” and featuring at least one such billboard. Each picture must provide location metadata to pinpoint it to one of the major cities in each country where billboards are being displayed. Pictures can be altered digitally with editing tools, but no logos, brand names or trademarks are allowed. 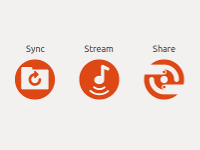 Pictures must be submitted under a CC-BY-SA 3.0 license and their content must be suitable for general audiences, respecting the Ubuntu Code of Conduct. Upload your pictures to Flickr. You might need to create an account there if you don’t have one already. Add your pictures to the Ubuntu Billboards group in Flickr. Remember there is a maximum of 3 pictures per participant. If you’ve got any question related to the contest, feel free to use the comments on this announcement or start a thread in the group’s discussion. 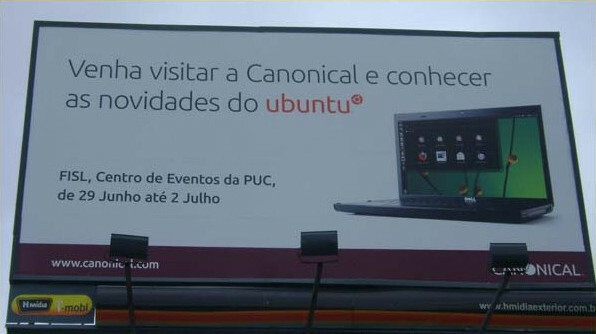 Looking forward to seeing more of those Ubuntu billboards in the wild! I’ve just created my account in Flickr, but can’t join your group in order to participate in the contest. The link to my photos is the following: http://www.flickr.com/photos/96794865@N07/. Thanks a lot for your pictures! However, as stated in the rules from the post above, the term for the contest was until the 2nd of June. The contest is now closed and we’re not accepting any new submissions. 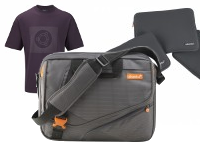 In any case, the pictures are really good, and do let us know if you see Ubuntu in the wild again!